Jonell Beeler, shareholder in the Jackson office, concentrates her practice in health care. She serves as co-leader of the Firm's Health Care Government Investigations Group and the Health Care Regulatory Task Force. 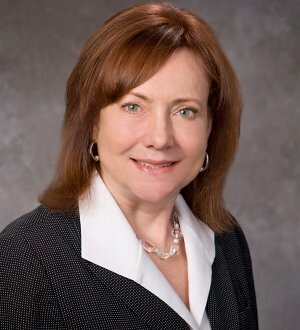 Her experience includes health care compliance; Medicare and Medicaid reimbursement, provider enrollment, conditions of participation and regulatory matters; federal and state fraud and abuse laws, anti-referral laws and corporate practice of medicine laws; managed care; health care acquisitions and joint venture arrangements and public hospital and tax exempt hospital issues. She regularly advises clients on the Medicare Anti-Kickback Statute, the Stark Law, the Civil Monetary Penalties Statute, the False Claims Act and other federal and state legal, regulatory and business issues related to the health care industry. She has defended clients in civil, criminal and administrative investigations, advised on self disclosure and repayments and negotiated Settlement Agreements and Corporate Integrity Agreements. Her clients include hospitals and hospital systems, medical practices and physician organizations, practice management companies, ambulatory surgery centers, cardiac catheterization laboratories, pathology laboratories, imaging and other independent diagnostic treatment centers, radiation oncology centers and other specialty providers.